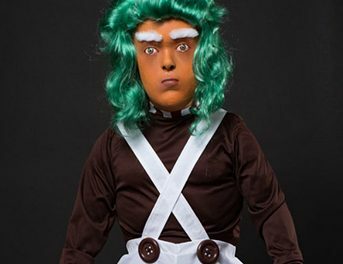 Last year I was walking through my local Home Depot on the day after Halloween checking out all the discounted merchandise when I stumbled across a 6′ Animated Standing Butler Holding a Candy Tray. The manager had marked him down to $20 to get rid of the prop to make room for some of the Christmas merchandise they had in the backroom that needed to go to the salesfloor. As we all know retailers always make drastic price reductions after a holiday to get rid of seasonal inventory. I grabbed the Butler, paid $20 and brought him home because I knew I could make him into a better prop next year. 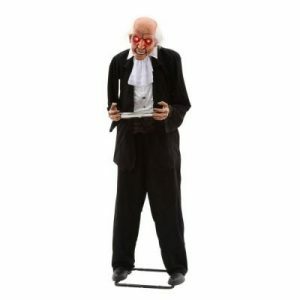 The Butler is still for sale on Amazon.com if you want to check him out. Last Halloween I dressed up as Michael Myers. 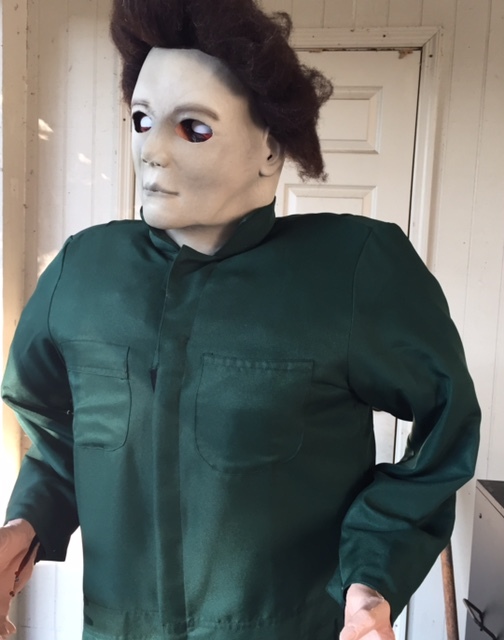 My wife and I found a Michael Myers costume and mask at a local party supply store and I had an extra Michael Myers outfit just lying around. I decided to make my own Michael Myers Halloween prop. 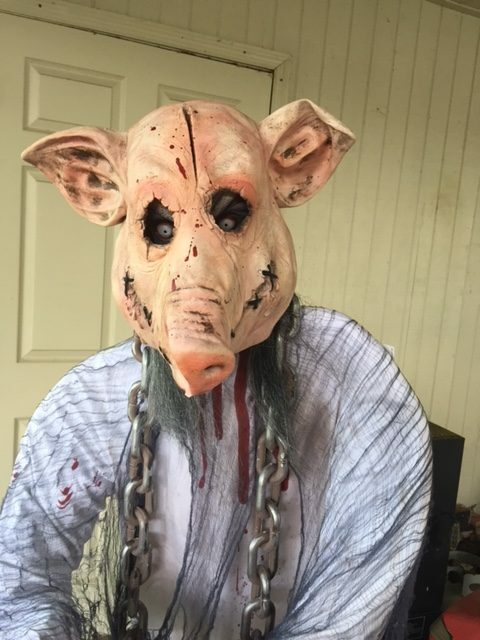 Here’s the mask you will need. It retails for $50-60. 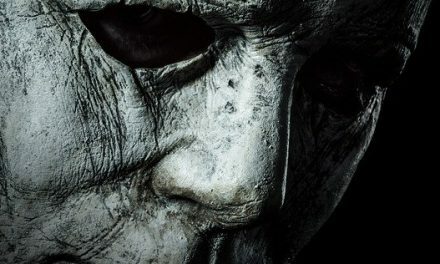 If you know anything about Halloween props, those that feature notable characters like Michael Myers or Freddy Krueger go for $400-500 on eBay. The props were made a few years ago and are now out of production and considered to be collector’s items. 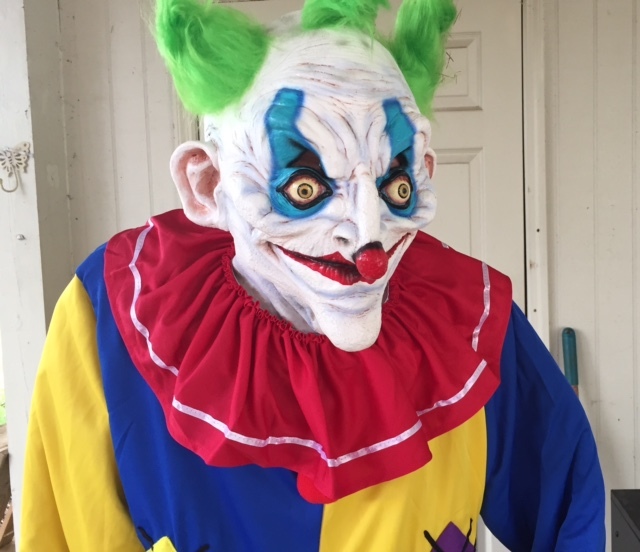 Also, due to the license from the film franchise those animatronics sold for more than usual due to the studio getting their cut in addition to the manufacturer still making the same profit margins. The first thing I did when I made the decision to make the Butler into Michael Myers was remove the candy tray he was holding. I took some bolt cutters and cut the plastic attached to the tray. I removed the legs and started to put the costume on the prop. Once I had the outift on it didn’t look right so I got some bubble wrap and stuffed into his arms to make his shoulders and chest look a lot more full so he looks like a real person. The next problem I had was when I put the mask on the Butler. The way his head is made you had to put a little metal piece into a plug and his head dangled. Well, it dangled too much. This is where I had to improvise. I unscrewed his jaw and used it as his neck to support the mask. Had I not done this it would’ve looked like Michael Myers had no neck and his head just rested on his shoulders. To pull this off I had to drill four small holes in the piece that you put the plug from his head in. I also drilled four holes into the base of the head where I had removed the jaw. I used two zip ties to attach his head to the plug and then slid his jaw underneath to make his neck. This would all be covered by the mask so no one would see how I had to rig it anyway. I’m pretty pleased with how he turned out. I plan on setting him up in the side of the yard, possibly on top of the AC unit so he’s looking down on potential victims with a light shining up at him. I could attach a knife to his hands by using a zip tie but I may just have him stand there without a weapon. There will definitely be some of the creepy Halloween movie soundtrack music playing in the background. I didn’t have to spend $500 to get Michael Myers. Instead I spent $20 on a cheap prop and used items I already had to make a DIY Michael Myers.